Trying to manage hot and cold areas in your home can be difficult and frustrating. Plus, trying to figure out how to get your home to heat or cool evenly can require quite a bit of work as well. That’s where mini-split systems can make that job a lot easier to figure out. Whether it’s for an individual room or you’re trying to fix multiple rooms, mini-split systems can be an ideal solution. After all, there’s no reason to be putting up with a home that isn’t at its peak level of comfort. 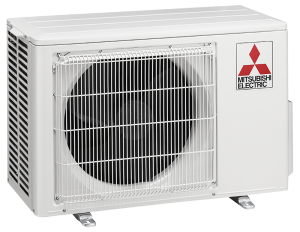 At Andrew DiPietro’s Climate Zone, we offer a range of both Lennox and Mitsubishi mini-split systems, so no matter your needs or your budget, we’re sure to find an option for you and your home. Mini-split systems are great for more than just bedrooms. From enclosed porches, sunrooms, home offices or another addition to your home, a mini-split system is an easy addition that can reap major comfort benefits. And if you’re looking to add that comfort to multiple rooms, one outdoor unit is able to handle up to four separate indoor units so you only have to worry about outdoor installation once for up to four spaces. Plus, every indoor unit has its own remote so you can control the individual unit and set it to each person’s preference. Mini-split systems from Lennox and Mitsubishi are a great solution because they are small, quiet and offer personalized comfort without committing to changing the thermostat for your entire home. They are also incredibly efficient and can help you only heat or cool the areas in your home that need it, potentially saving you money throughout the year. The allure of mini-split systems is undeniable, and rightfully so. Who wouldn’t want personalized comfort in whatever room they are in? Call to speak with a certified technician from Andrew DiPietro’s Climate Zone and we’ll work with you to decide whether a Lennox or Mitsubishi mini-split is the best option for your home. Give us a call today at 978-872-1190 or arrange an appointment with us online.